Los Angeles’ booming tech community is focusing on making homes more intelligent. From smart locks to services where users can control all home appliances via your smartphone, the future of the Smart Home looks bright! The question inventor Jeffery Siminoff asked himself when creating his company, Ring, was how to make homes more secure. With that query in mind he launched the Ring Video Doorbell to help neighborhoods stay safe. An example of Ring’s success can be seen in the Wilshire Park neighborhood of Los Angeles: 10% of the homes were given Ring Video Doorbells, in the 6 months since they were installed, burglaries have been reduced by a remarkable 55%! As every Angeleno knows, water usage can come at a premium, especially with Mother Nature’s propensity toward droughts. In addition to that, the water damages a property could face without proper monitoring can be extraordinarily costly! LA-based Flo Technologies wants to change this! Flo is a comprehensive water monitoring and control system with leak detection, and proactive leak prevention technologies. Via its smartphone dashboard, Flo provides users the ability to control water remotely, while empowering and gamifying conservation efforts. Headquartered in the heart of Santa Monica, TiTan Platform is developing a suite of smart home care devices utilizing the company’s Clueworks platform. 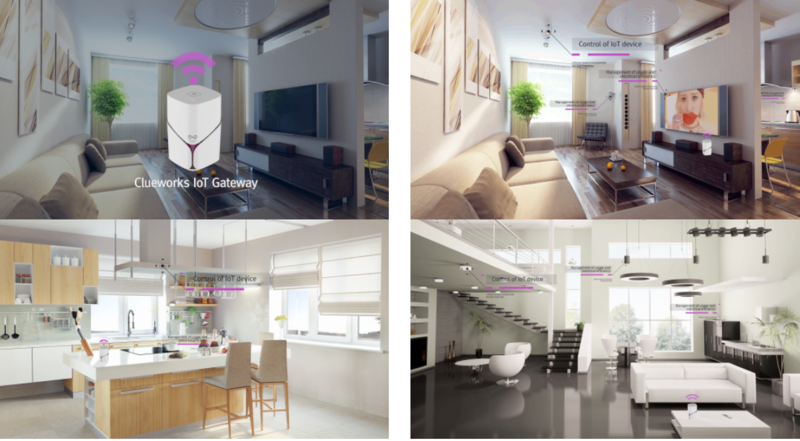 Although still in beta, The Smart Home Core, a home gateway service, will allow users can control all home appliances and monitor electricity usage. “The products integrate speech-to-text capabilities with IoT, personalized multimedia and 4K VR headsets as a part of their highly encrypted smart content platform.” It will be marketed to consumers as well as businesses and government entities.